Forget everything you learned in history class, and imagine all the nations of the world as cute guys hanging out on a wildly inappropriate reality show. 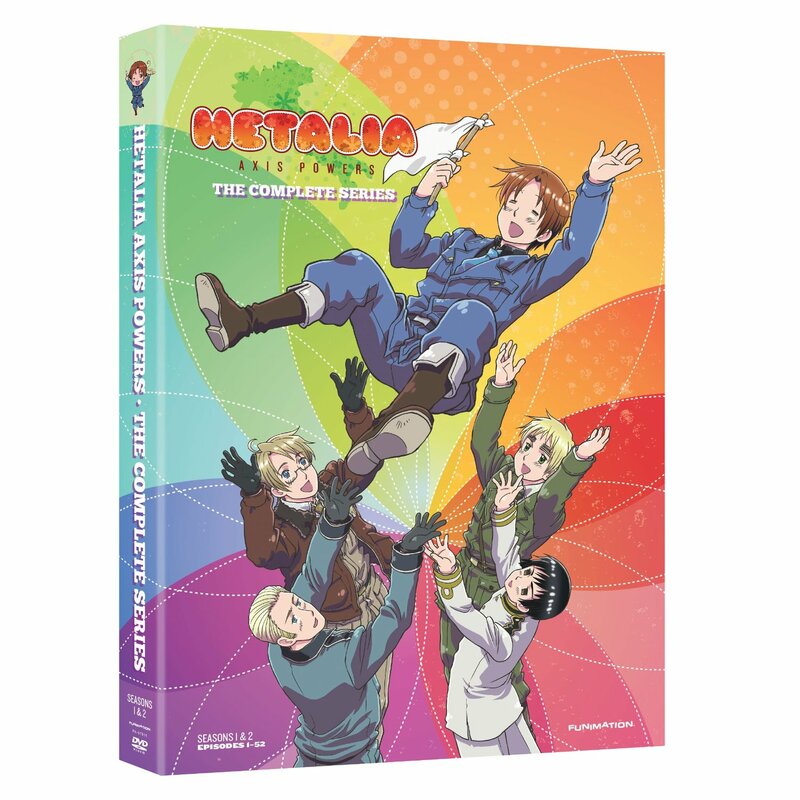 Now, toss in every stereotype ever and prepare to pledge allegiance to your favorite superpower in Hetalia Axis Powers! Maybe you'll surrender to Italy's charms. He's a sweetie who's always got a noodle in his mouth and he's BFF with blue-eyed Germany and shy Japan. Sounds nice, right? Of course, their friendship sort of causes World War II, but is that really such a big deal? Not if it means those adorable allies France, America, and England will be stormin' the beach! Imagine countries were embodied as people. Now imagine that all of the countries are a little insane (especially Italy). Keep imagining...we're not done yet...imagine that every minute and a half or so these full grown countries become tiny children with really whiny voices, but hidden within all of the chaos is actually bits and pieces of real history. Apparently that's Hetalia. Crazy...but surprisingly fun. The teens in my library's Manga Club are head over heels for Hetalia. They have each taken ownership of a country, even naming me Finland, and quote it incessantly. 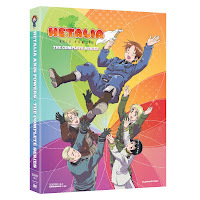 In fact, we've had to "ban" all things Hetalia until our designated Hetalia day. After much begging and pleading (and a "super-sized" wink, wink grant) I broke down and bought the complete series for the library. And of course I had to sneak it home first before the kids get their hands on it (librarian perks!). I only have one thing to say...bring on World War III. It's almost wildly inappropriate and way over the top, but so much fun. The all-over-the-place emotions of the characters fits perfectly with my manga crew, and I totally understand why they love it so much. I just hope they don't use it as an actual history lesson.